Dental emergencies are just like any other type of emergency – they can occur unexpectedly. At Gold Hill Dentistry, we offer fast and effective emergency dental care. We are a comprehensive family and cosmetic dental practice and we offer a full range of dental services to patients of all ages. There are many different ways in which to prevent damage and injury to your teeth. Wearing a mouth guard is recommended for everyone who plays sports so that they can avoid cracked or knocked out teeth from unwanted contact with the mouth. Also avoiding chewing hard items such as ice, hard candy, and popcorn kernels is highly recommended to avoid cracking a tooth or pulling out a filling. Using tools such as scissors instead of the teeth to open bags is also important. Taking preventative measures and using the teeth in their designed purposes can avoid most dental emergencies. However, not all dental emergencies can be avoided. If you are here in the Fort Mill, SC area and are in need of dental emergency care, call Gold Hill Dentistry. 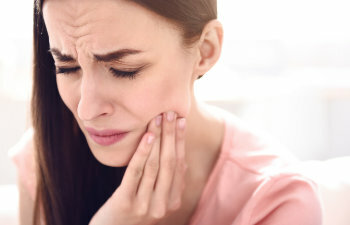 Suffering from a toothache, a chipped or broken tooth, or an injury to the mouth can cause significant pain and should be treated as soon as possible. Our dental staff is trained and equipped to handle all types of dental emergencies, and our facilities are designed with the latest equipment and technology to make any procedure as comfortable as possible. Don’t wait another minute if you need emergency dental care. Call Gold Hill Dentistry right away. We can almost always schedule same day appointments in order to relieve your pain and discomfort as soon as possible. Whether you are a current patient or a new patient, we want you out of pain and smiling again.